There are several things anyone hoping to view an eclipse needs to keep in mind. Are you anywhere near the event? What’s the weather going to be like? Can you move to a new location if clouds move in? And these are just some of the basics. Below are some of the details you need to include in your planning to photograph the eclipse in August. Are you near the event? The biggest question is what path will the moon’s shadow take and will you be near it? In the US the path starts in Oregon, passes diagonally through the mid-west, and exits the continent through South Carolina. This is called the “path of totality” – the path under which the sun will be fully eclipsed. The best place I have found for information on the path of totality for the upcoming eclipse is eclipse2017.org. The site has very detailed information on the states in the path of totality and cities falling on or near the center line (the center of the path of totality). There is also information on when the eclipse begins, when totality starts, how long totality will last for that location and the time the eclipse ends completely. Knowing that we can’t predict the weather requires developing a plan B. Having the ability to shift location, maybe by hundreds of miles, may make or break your chances of coming home with the photos you are after. In So. Cal. I am used to having several different options for getting around. There are multiple interstates traveling north/south and just as many traveling east/west. If the path of totality were over Los Angeles, getting around (except for the traffic) would be easy. However, many of the locations in the path of totality are in rural, sparsely populated areas. Many small communities only have one way out of town in each direction. Your options to change location could be limited by the lack of roads. Be mindful of your transportation options and plan your alternate locations way in advance. Also, give yourself plenty of time the day of the eclipse. If you need to change location because of weather, chances are that hundreds, if not thousands, of people will be doing the same thing. Allow for traffic and the pandemonium of those that didn’t have their plan B ready in advance. This is a big one! Most communities are made up of a small amount of public property (parks, community centers…) surrounded by private property. People’s homes, businesses, and farm land are all private property. These places need to be respected as the penalties for trespassing vary from a stern “talking to” by law enforcement to hefty fines. If where you want to shoot from is on private property, make sure you get permission to be there. Preferably in advance. No one wants to have 50 people knock on their door asking for permission to shoot in their yard or the parking lot of their business the day of the eclipse. I am lucky enough that my day job is sending me to Salt Lake City – a three hour drive from where the path of totality crosses South-East Idaho. I currently have campground reservations in Rigby ID. 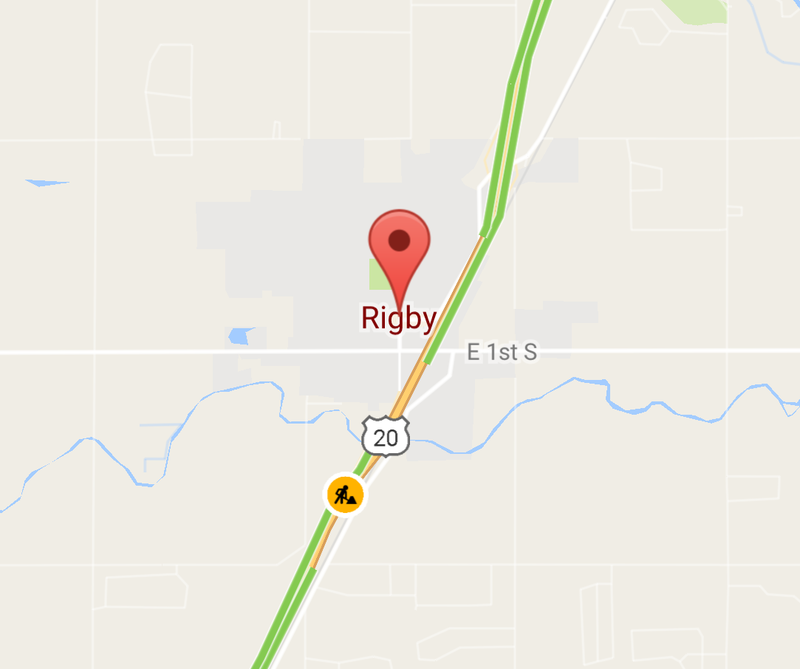 Rigby is a few miles from the center line of the path of totality. They are also throwing one heck of a party on Main St (details at totalityawesomerigby.com). They, as of this writing, have campground spaces available – use the contact page on their web site to make a reservation. Rigby has no permit requirements and is surrounded by a few small lakes and potato fields. If heat becomes an issue, shooting over water may help reduce the radiant heat from the ground. If cloud cover becomes an issue I have the ability to head north-west, further into Idaho, or south-east into Wyoming or Nebraska. Given that I will have a rental car, I am willing to drive up to about five hours in either direction. That’s almost 500 miles of the path of totality available. Not a bad stretch. The only real problem is all of the national parks/forests that must be navigated around if I end up having to go very far. My plan is to be set up by one of the lakes near Rigby. Hopefully most of the campers will head into town for the festivities and I will have my run of the place. I’m never that lucky – we’ll see where I end up. I will have a day before article posted on August 20th with updates on where I will be, so stay tuned. It would be great to meet a few of you reading these articles. Leave me a note in the comments below. It would be great to hear what locations others have come up with.